For home - As a universal manual switch for electrical devices and scenes. For business - As a handy tool which supports everyday activities and customer service. For emergencies - As a button to contact the caretaker or call for help. The Button is available in a few different colors. It may improve the ambiance of a room if appropriately picked. Depending on your needs, you can keep The Button in view or place it out of sight. The Button can recognize up to 6 actions. One click can turn off the light, two clicks can activate the AC unit, holding down the button may trigger a scene, etc. Run complex scenes, it's so easy! “Scenes” are synchronized actions of several devices. With the Button, you can run them with just one switch. Place the Button exactly where you could use an additional switch. 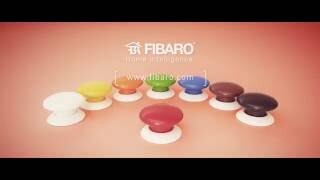 Many features of The Button which are designed for homecan be also used at work! Blinds, alarm, electrical devices - when you leave, you can secure your house with a single click. The Button does not just give you a variety of uses.It is also fun to use every day.